All Discount Heating Repairs come with a 5 Year Parts & Labor Guarantee! Our staff has the training, knowledge, and payment options required to keep you comfortable. Are you worried about the upcoming Wheeling winter? When you call Discount Heating & Cooling for installation, service or repair, the weather outside is only a concern when you need to step outside. Inside your home, you'll enjoy quiet comfort, energy savings and the toasty warmth of smooth-running heating system. Air conditioning isn't just a luxury. It's new way to live. It's time to take control of the summer heat with the high-efficiency, quiet and refreshing comfort of a cooling system. Forget about the humidity, bugs and noise pollution outside. Step into a temperature controlled oasis that includes every room in your house. For installation, service or repair, Discount Heating & Cooling has affordable and rewarding solutions to the Wheeling heat. You're probably very careful about the food and drink you put into your body, striving for good health. But what about the air you're breathing in? There is a very long list of potential contaminants in every room of your house. Thankfully, solutions to indoor air quality come in a wide range of options, to meet every need and budget. Call Discount Heating & Cooling for a cleaner, healthier, more comfortable home. Our high-tech duct cleaning will help you reduce your energy usage, fix ventilation problems, and keep the air in your home much cleaner. Get in touch with us for a free quote! We will beat any written estimate by up to $500!! Discount Heating & Cooling has been serving the heating, cooling and indoor air quality needs of the northern Illinois suburbs since 1991, meeting and exceeding customer expectations each and every day. Discount sells, installs and services all categories of residential temperature and comfort equipment, including furnaces, air conditioning units, hybrid heating systems, humidifiers and the most advanced indoor air quality devices. We are also experts withboilers, digital programmable thermostats, and a wide variety of smart accessories to complete your system. HVAC Service With Satisfaction Guaranteed! 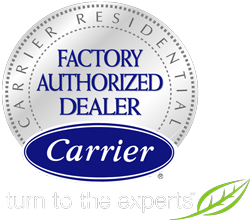 Discount’s daily mission is to provide our customers with the highest level of service and we back that with our 100% Satisfaction MONEY BACK Guarantee. Whether you’re buying new equipment or your existing equipment is in need of repair, we can assure you that you will always be pleased that you chose Discount as your heating, cooling and indoor air quality professionals. We at Discount are seeing exciting breakthroughs and key advances in home comfort technology involving system design. In addition, there are numerous associated products that work extremely well while consuming far less fuel or electricity to do so. Discount can be your experts in all new hybrid and eco-friendly heating, cooling and indoor air quality products and service. Even better news is that these systems pay for themselves with the reduction of utility needs…and continue saving long after. When you choose Discount Heating & Cooling for HVAC service, installation or repair, your home or business will be receiving the most up to date equipment & knowledge in the HVAC industry. We offer a wide range of energy efficient HVAC products & systems to keep your home or business running at peak efficiency while saving you money & energy. If traditional HVAC systems do not fit your current situation, we also have the option of going ductless. Ductless HVAC is an alternative option for those who want room to room control without the bulky traditional system that blows air through your ducts. This is a great solution for those with smaller living spaces & want customized control. Call Discount Heating & Cooling at 847-777-3243 for a variety of HVAC services to fit your every need. We’re very proud of our Better Business Bureau A+ rating, and our dedication to NATE certification! 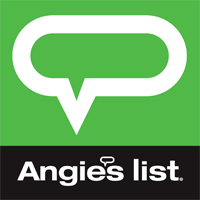 A+ Rate Super Service Award Winning Service Provider with Angie’s List.